The Marvel Chess Collection offers the comic fan and chess lover alike the chance to collect a unique chess set, featuring some of the greatest and most loved Marvel characters! Joining the X-Men and their greatest foes is issue #35 featuring Colossus as a white rook! 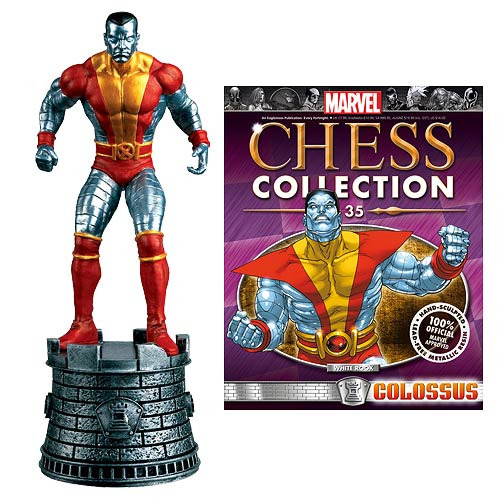 The Marvel X-Men Colossus White Rook Chess Piece includes collector magazine #35, featuring images and information on the character. The battle is in your hands!